Ski Holidays to Cervinia in Italy 2017 & 2018. Cervinia is located at the top of the Aosta Valley in the Italian Alps. Situated towards the west side of North Italy, it nestles below the great Matterhorn (or Monte Cervino in Italian) sharing a border with Switzerland. One of the earliest purpose built ski resorts, it has gone through many stages. At first the area was the epitome of style, moving onto a period where modern soulless buildings became the norm. Thankfully the resort has now returned to its stylish roots and is a pleasure to visit. The resort is easily reached from either Turin or Milan airport with a transfer time of 1.5-2 hours, making it an easily accessible location. One of the key reasons for its enduring popularity and repeated periods of investment, is the fact that it is one of Europe’s highest resorts. This ensures a longer season and better guarantees of snow than many of its neighbours. Some of the lift connections extend up to 3,899m, which is in fact the highest point within Europe reachable by ski lift. These incredible heights mean that the glacial regions of Zermatt can be reached even in summer and a variety of winter sports are on offer all year round. It is a resort on a grand scale, claiming to offer Europe’s longest run in both summer and winter. The longest run stretches to an amazing 15km in length and is graded as a red run that is suitable even for intermediate skiers. The winter season starts as early as October and has been known to stretch right on into May, way beyond the capability of lower sited resorts. Good snow covering ensures ideal conditions for beginners and nursery slopes at lower levels are usable for a much greater part of the season. Many of the slopes are wide and devoid of trees, some might consider this less picturesque than other resorts, but it certainly makes for fine, effortless skiing which is great for beginners. Much investment has been made in the resort; this has entailed removing many of the outdated drag lifts and replacing them with more technologically advanced chair lifts. In all, it has over 70 lifts including cable cars, chair, drag lifts and funiculars. The resort provides for advanced skiers and beginners alike; with this in mind, there are lift links to Zermatt for the more adventurous. Zermatt has far more challenging, steep runs both on and off piste. When the weather conditions are right, heli-skiing is a popular choice and the runs accommodate both skiers and snow boarders, so there’s no shortage of snow sports on offer. This resort features both beginner and intermediate runs that are generally wide and clear, so it is a great choice for a family holiday. If you are visiting with very young children, the resort offers nursery and creche facilities too. New skiers will be relieved to find that there are three ski schools to help you find your feet and for tiny ones (from age 4 upwards) the Cervino Ski School offers a ski kindergarten. Skiing or boarding the endless snow is not your only option, you can also enjoy snow shoeing, biking or sledging, both on traditional toboggan or on an air board. You might want to take part in these activities after you have finished paragliding, ice climbing, ski mountaineering, snowmobiling or horse riding – if you still have the energy to move that is! 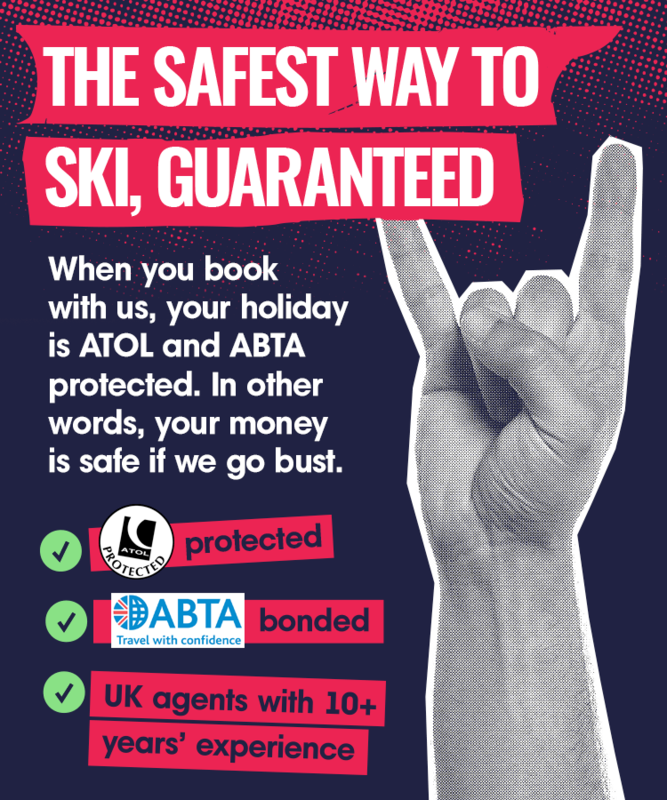 There are certainly plenty of choices and alternatives to skiing. Equipment for all activities is readily available to hire for your convenience. Other winter activities include an indoor leisure centre, cinema, a natural ice skating rink and a bowling lane. If you are looking for something a little more restful, you could always look around the ample shopping area. This is a great way to rest weary limbs and to while away an afternoon. Cervinia definitely offers more than most resorts and boasts 70 shops, some very stylish. As well as the fashion stores, you could visit a supermarket, bakers, butchers or the inevitable souvenir shop. The shopping area comes complete with a full complement of restaurants and bars, giving the resort a lively atmosphere, especially at weekends. This is because the resort is close to Turin and Milan and hence attracts many locals at weekends, leaving the weekdays as being the quietest time to ski. It is a well planned resort with most accommodation within walking distance of the ski lifts. Any hotels a little further out tend to operate their own shuttle buses, although buses themselves are excluded from the resort. Accommodation charges vary greatly, from the very stylish and of course expensive – to the more modestly priced lodgings that include catered chalets, bed and breakfasts, as well as a choice of hotels. It is undoubtedly a resort with a lot to offer and it appeals to a wide range of skiers, although it is perhaps best suited for beginners and intermediate skiers.